"Biuletyn Instytutu Spawalnictwa" is a bi-monthly magazine informing about all areas of the newest achievements, conducted research and events in welding. 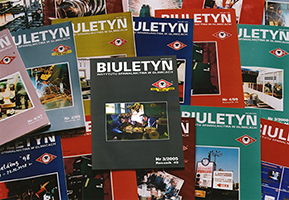 "Biuletyn" is issued by Instytut Spawalnictwa (The Institute of Welding) in Gliwice, Poland. We present the English online edition of "Biuletyn Instytutu Spawalnictwa". 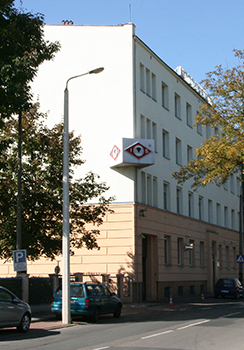 The publication concentrates on research achievements of Instytut Spawalnictwa's personnel, as well as other representatives of Polish and international welding sector. Traditional, printed version of magazine is published in Polish. It is addressed to welding personnel of industrial companies and service sector, research workers of technical universities as well as personnel of companies offering welding machines, equipment and materials and producers and distributors. "Biuletyn" informs about research achievements, new welding machines and technologies, welding subjects in standardization, certification and publications, activities of international welding organizations, mainly International Institute of Welding and European Federation for Welding, Joining and Cutting.